Known as Slovenia’s strongest tourist magnet and the country’s leading alpine congress destination, Bled has provided a magical scenery for jubilee 10th PCNE Working Conference 2017. From 1st to 4th February 2017 around 100 participants gathered at Hotel Park, located at the very centre of Bled which provided them an amazing view across the lake, the Bled castle and Julian Alps. 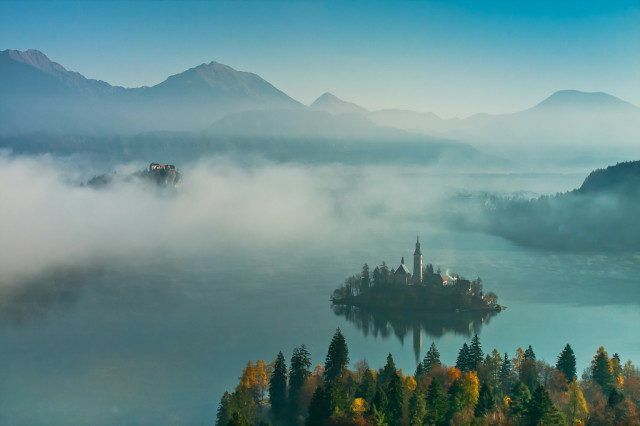 Bled, Alpine pearl and one of best known Slovenian tourist attraction, offered 10th PCNE Conference participants idyllical environment for presenting fresh plenary sessions and interactive workshops. Who wouldn’t learn and connect even better in this magical environment? Basically, a dream come true location where 10th PCNE participants explored, discussed and shared different approaches in tackling the implementation of viable pharmaceutical care services. The conference was visited by experienced researchers as well as the beginners which all had an opportunity to enjoy Bled and Hotel Park as first time host of the event. Hotel is part of Sava Hotels & Resorts, with their diverse offer and slogan “meetings with character” which they emphasize with everything they do – from their professional services, amazing hospitality, personal touch and perfect organization. Park Hotel served as top qualified host for this congress with all the right ingredients that were 100 % used in the context of Sava Hotels Bled and the organizer trusted and given them the opportunity to help him with their experience which lead to the final superb organization of the host which was highly praised by the organizer. The hotel offers eight conference halls with natural daylight, which have views across Bled and the surrounding area. No wonder it is especially popular with conference delegates and also due to its location in the heart of the lively town. And one more attraction: at the time of the event, also Lake Bled was frozen after many years and this is surely a memorable photo that will stay in mind of the 10th PCNE participants. Unique energy and special features that Bled provides make this environment simply the best environment for all kinds of meetings. Previous articleConference in a circus?